In 1162, Atienza was besieged by the army from León, eager to capture the Infante Alfonso VIII, heir to the throne of Castile, who by then was only 7 years old. 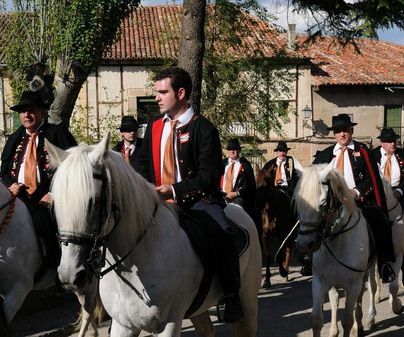 Atienza citizens conceived a stratagem to save him: dressed like a mule driver, they left with him on horseback, and passed the forces from León by right under their nose, pretending a pilgrimage. 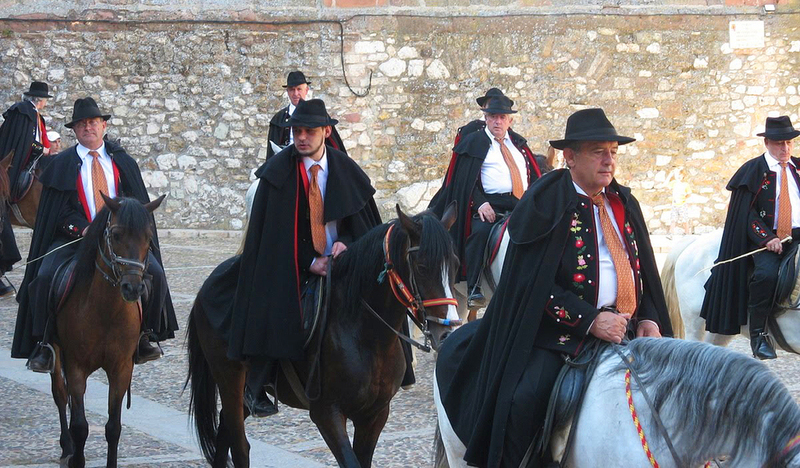 Nowadays, 9 centuries later, locals go out of Atienza again, every year, on their Caballada (drove of horses), attired with cape and Spanish hat, followed by the people on foot. 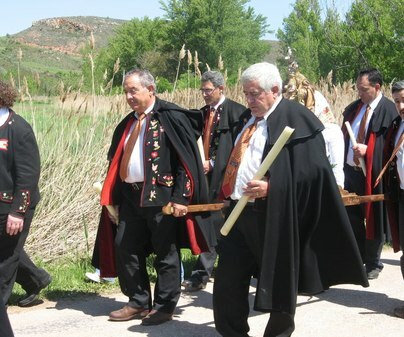 It is the same unprepared pilgrimage from the 12thcentury which nowadays makes true the Cofradía de la Santísima Trinidad (Holy Trinity Brotherhood), previously known as mule driver’s, riding from the city to the Estrella hermitage. 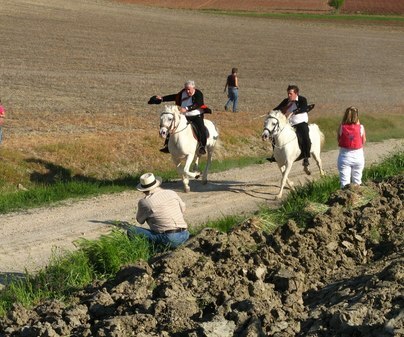 In the afternoon, horse races are held. Movable date. Whit Sunday in May. There is no better time than this festivity to enjoy the traditional gastronomy, also from the 12thcentury, that you can find in Atienza: roasted lamb accompanied by raisins a lettuce hearts, among some other delicacies. If Alfonso VIII left, it was undoubtedly forced.